Step 1 Wash, peel and cut the mango into medium size pieces. Step 2 Place the mangoes in a deep pan, add in sliced onion, ginger, green chillies, turmeric, chilli powder, coriander powder and salt. Combine everything together using your hands. Keep it aside for 10 minutes. Step 3 Place the pan with the mango mixture on the hob over medium heat. 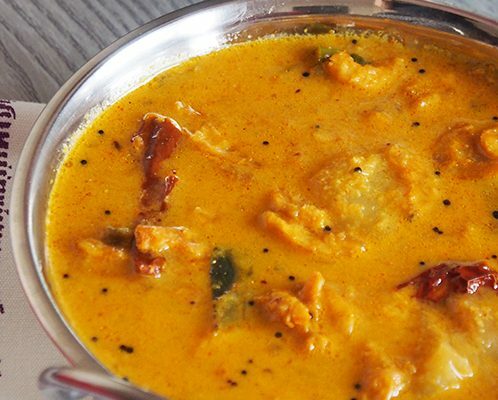 Pour in thin coconut milk and cook till the mangoes turn tender (about 10-15 minutes). Step 4 Add in thick coconut milk, mix well and switch off the flame. Step 5 Heat a small pan over low-medium heat for tempering. Add in coconut oil and mustard seeds, let them splutter. Step 6 Add in fenugreek seeds, dry red chillies and curry leaves. Stir for a minute and switch off the flame. 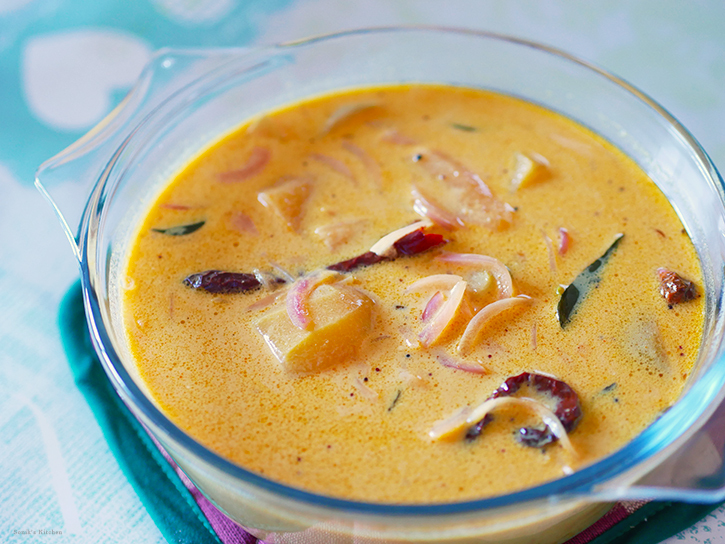 Pour this over the mango curry, mix well. 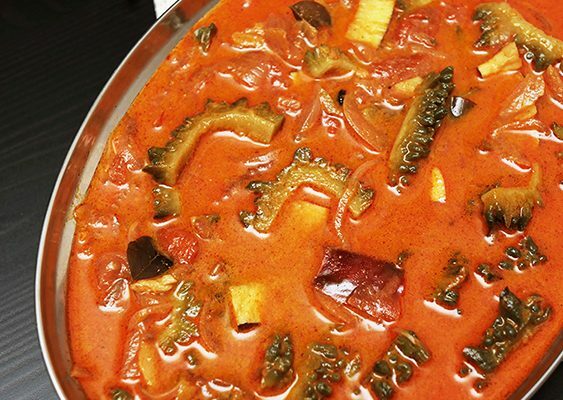 Serve this mouth watering dish with rice.